Hi there everyone. Welcome to SoShi Catalogue’s collection starting guide. As the girls have gained mass popularity throughout not only Asia but the world the realm of Soshi retail merchandise has undoubtedly become an interesting and rewarding pastime for many Sones. As with any somewhat popular musical act throughout the world merchandising becomes a key promotional tool for any record company. Luckily for us Sones, merchandising for So Nyuh Shi Dae has been increasingly widely circulated with various affiliated companies providing official promotional goods featuring the girls as well as the official goods that are distributed via SM Entertainment. So you have decided you want to get your collection started. Many of you will probably have been inspired possibly by purchasing an album or receiving some form of SNSD good through different means. I question that tends to pop up a lot is ‘What is a good thing to get me started with my collection?’ This of course is all subject to how much you are willing to spend. However, I believe that every collection should begin with the purchase of the girl’s official albums. I think that these are great way to get started for various reasons. Albums are really the quintessential piece of merchandise for a fan of any musical group. New fans are blessed with the fact that most of the girl’s newer albums come with bonus goods such as photo cards and posters. This is a great way to begin your collection as in most cases you will get an album, photocard and/or poster with the acquisition of an album. So technically, if you purchased two albums (lets use RDR and Oh! As examples) you could end up with the albums themselves plus 1 photocard, 1 mini-poster as well as 2 large album posters. Your collection is already starting to take shape after this. Once you have bought the newer albums then you can maybe expand your collection by acquiring older albums. Generally, there are fewer bonus items in these albums but in all cases there are mini photo books inside with plenty of quality photos inside that are really a pleasure to look at. These are quite possibly my favourite goods ever released by SME. The quality is great and they are strong enough from practical use. The concept photography is great and I personally think they look much better in real life rather than in the photos. The phone straps are solid and don’t feel like they could break easily at all and the transportation cases seem to hold up well after over 6 months of use. The packaging of the phone charms are really well constructed also. They come in 9 different versions so you can acquire your fav member or the entire sets if you are willing. The beauty of these is that they aren’t ridiculously overpriced and are small enough to not cost you a fortune on shipping if you do want to buy more than one online. 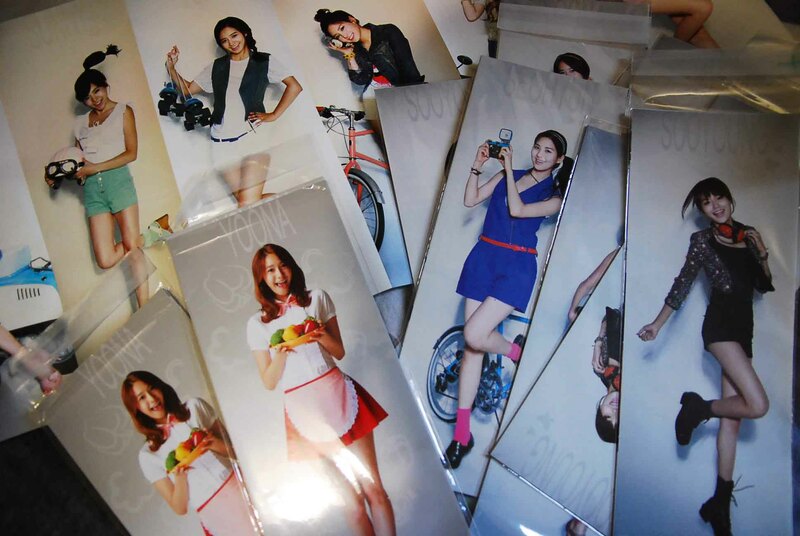 These are official trading cards released via SME. Trading cards are addictive and fun to collect and the beauty is you can get many of them at the same time. Both season 1 and 2 have 15 booster sets that come in a cool display case which itself is a great item for your collection. Each booster consists of base cards and a limited number of ‘rare’ cards. A more detailed explanation and breakdown of these can be found elsewhere on Soshicat. You can display these is plastic sleeves as they look great in sets of 9. Nowadays, season 1 is becoming harder to acquire but it is probably never too late to start collecting these as a new season is probably just around the corner. All base set + few pages of rarer stuff. These are generally very affordable and easily acquirable. They are usually made of plastic. Personally, I have doubts as to how well they hold up with practical use but they are great items for a collection regardless. You can get full group versions or individual member versions in many cases which gives you plenty of options as well. Goobne Chicken have used the girls as part of their promo for a while now. They have released a number of very affordable goods that are very cheap and in some cases free with the purchase of their chicken in Korea. I believe the mini posters really handy little acquisitions to any collection as they are really cheap and can be purchased individually or as a set for an affordable price. Once you have made a start on your collection you may find you are starting to get pretty addicted to making your collection better. 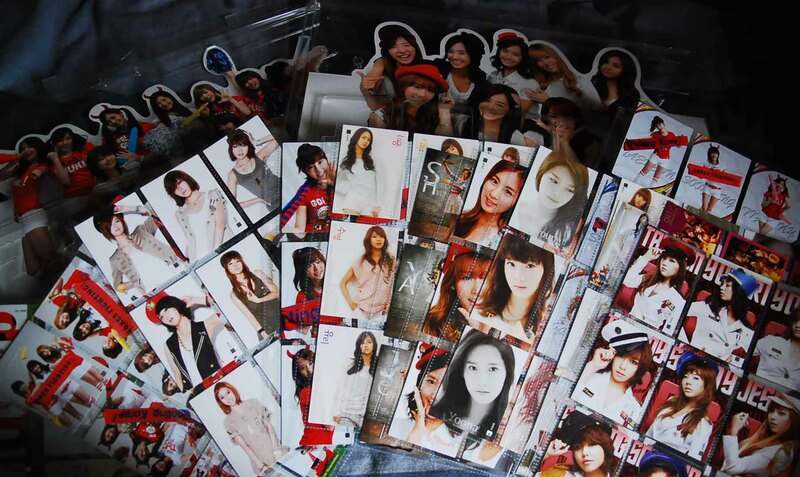 I’m sure this happens to most people who venture into creating Soshi collections. In many cases Sones will perhaps start to splurge on more costly goods and ‘rarer’ items at this point. Often these goods can be quite pricey but if you are willing you can find bargains as well as acquire them in Korea much easier if you ever manage to venture there at some point. This is an undoubtedly another important aspect of fandom. There are so many posters available for purchase online. These are official in most cases and are distributed via the many affiliated companies involved with the girls. 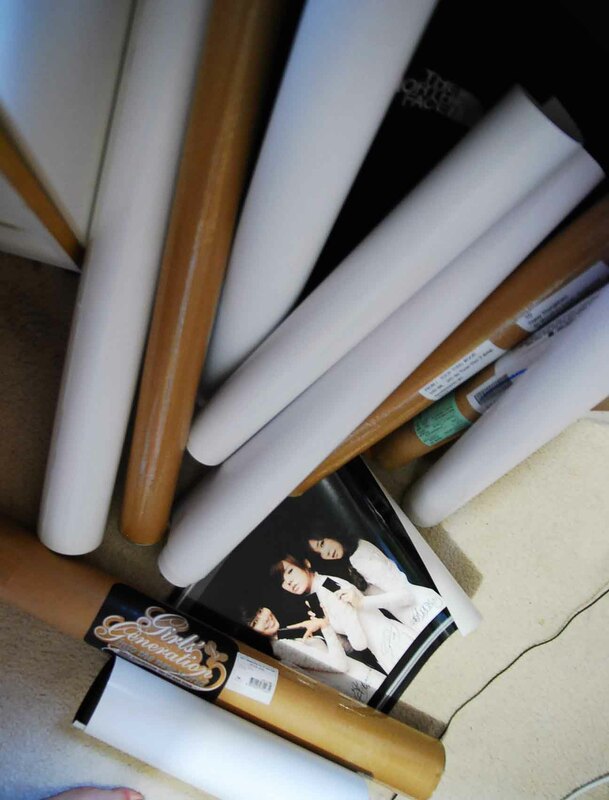 These can be album promo posters as well as product related posters from companies such as Cyon, SPAO and Viliv. With the increased popularity of the girls in recent years these posters have become quite lucrative business for many sellers online. Depending on the rarity of specific posters prices can range from less than 10 dollars to upward of 50 (and in some extreme cases over $100). As far as knowing whether the price you’re paying is justified or not it is very hard to make a judgement. In many cases posters will not be worth what is listed online but I suggest common sense when making these purchases. In many cases these poster may have actually been acquired for free by the seller. However, poster purchasing is highly addictive as showcased by the amounts of posters I have laying around due to the fact that I have limited wall space. Poster overload. Not enough wall space yo. These are fun and in many cases photos are really well presented. These are given away for free with the purchase of specific goods in Korea. As a result some form of value should be placed on them when sold online. There are also countless unofficial calendars available if you aren’t keen on spending too much. These generally tend to be quite expensive but contain 100s of great photos of all the members of the group. SME released one very large official photobook which I feel is a great purchase if you are willing to pay upwards of $50 including shipping. 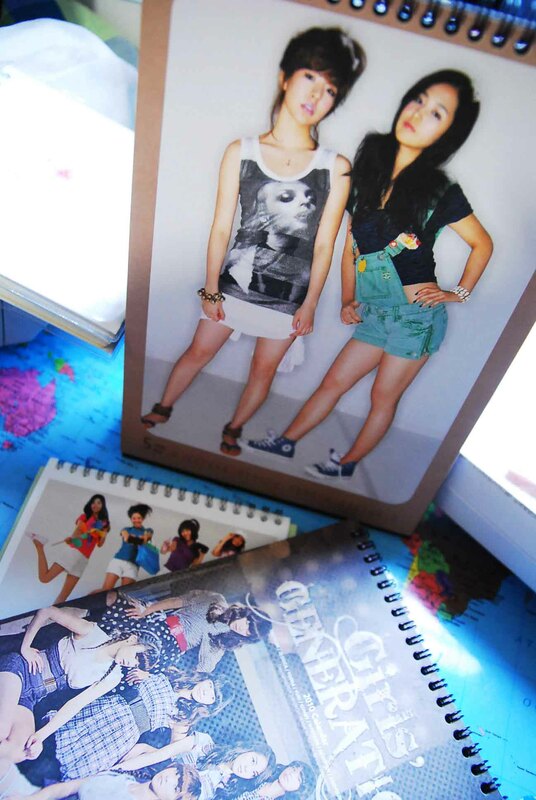 There are also fan made photobooks which are also great collector’s items but may not be to everyone’s liking. This of course can be done over the period of time. However, understandably it can be very costly and time comsuming. This can be done through trading with other Sones or purchasing wanted items outright (in some extreme cases buying many albums). RDR mini poster set (almost heh). At the end of the day collecting should be a fun and rewarding experience if you. I believe that it is best to collect and spend your money wisely as out of control splurging on goods could come back to haunt you at a later point of time. Moderation is important for various reasons. The more wisely you spend the more appreciation you will have for the things you do add to your collection. I think your collection should be constructed for your enjoyment rather for anyone else. Having some form of personal attachment to it is truly rewarding. Hope this guide helps you guys some way. Happy collecting! O.M.G. That’s exactly what I fear too. Oh, tell me about it! I don’t even want to add up all the money I must have spent on SNSD stuff, it’s absolutely insane! This is a great article but can you talk more about whether we should buy repackaged albums or not when we have the first batch albums already. I’m always having a dilemma of whether if I should buy the repackaged too cause the first batch will have similar/completely same songs inside. Haha! The first album I bought was the boys, then I started collecting posters from magazines. I’m now saving up for Shining Smile 2nd photobook and AAGG Paradise In Phuket. Yes and no. While repackaged albums may contain only a few new tracks, they more than likely have an entirely new album jacket, poster, and occasionally, photocards. 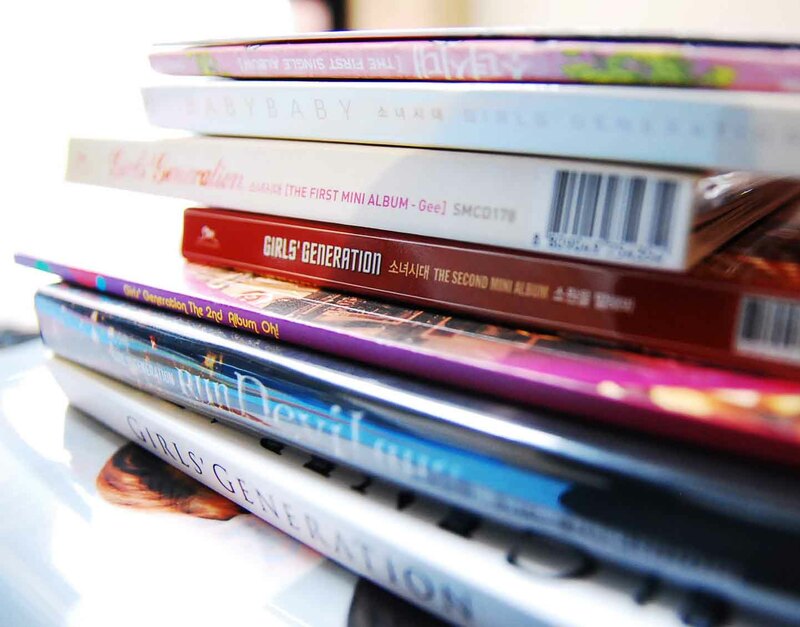 Although albums are one the “cheaper” items to collect and complete, you may also consider saving money for other merchandise. It’s really up to you, the collector. 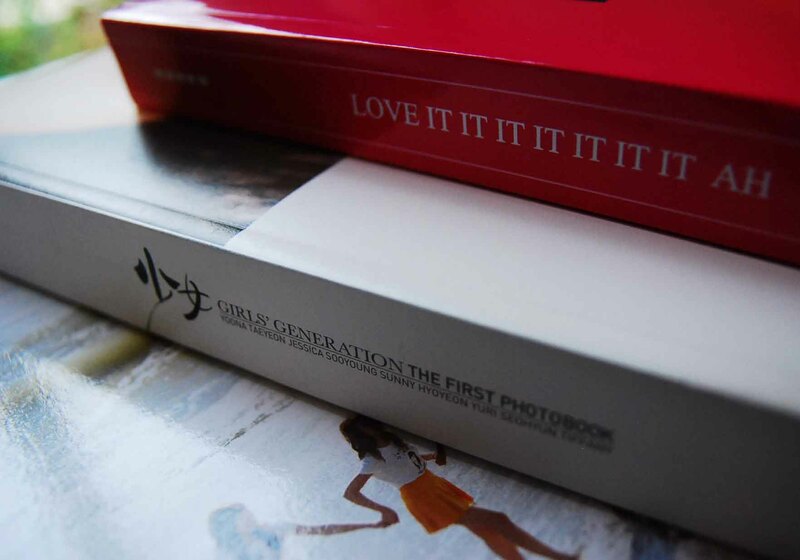 Hi,really like this guide here.I would like to ask,how do you actually control yourself not to spend so much on official or non-official goods.I’m really spending a lot on them,since I been a SONE since 2007.These days I been spending a lot on other items such as photobooks etc.SM has been introducing countless of new items so I can’t seem to save my money everytime.Mind giving me tips?Thanks!